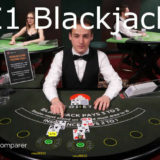 £1 Live Blackjack. Is there such a thing? You bet there is and it’s on an Evolution Gaming dedicated table at Codeta. 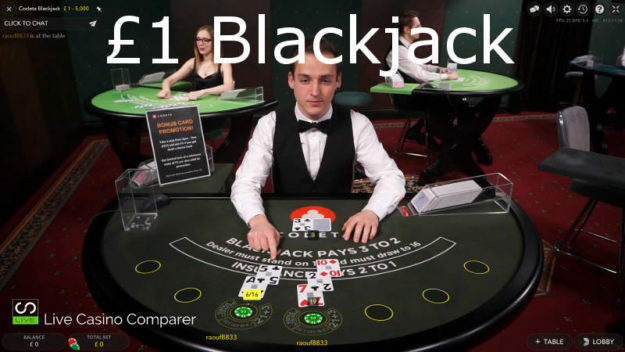 Low limit Blackjack is so difficult to find. You’re either having to play Common Draw or Unlimited Blackjack, or sharing 7 seats with 100’s of other players on Party Blackjack Tables. Stakes on this 7 seat blackjack table start at £1 a hand right up to £5,000. So what’s so good about this table? 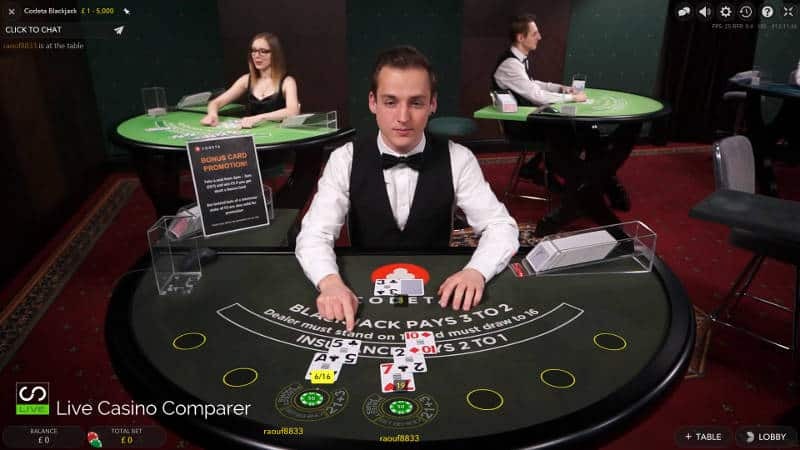 The Blackjack is played to Vegas Rules – the dealer takes two cards. The dealer will peek for Blackjack. You can double down on any hand value. You can split any pair. Split Aces only get on card. You can bet behind while seated at the table or while watching. 8 decks are used and the shoe is change after 4 decks have been dealt. The main issues you’re going to have with this table is there’s only 7 Seats. Granted you can Bet Behind, but that’s not quite the same as being in control of your own hand. The table is quiet during the day. In the evening it’s busier and you may struggle to get a seat. 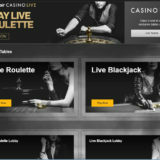 Codeta also uses the table to run their Blackjack Promotions on. The latest is a Bonus card promotion running through January 2018. 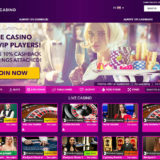 Get dealt a bonus card and a £5 Bonus is added to you account the next day. It comes with a 35x wagering requirement! Good luck if you can turn that over 35 times. That’s 175 £1 hands. Will take you 4 hours of game play to clear lol. Cash back is the best promotion out there. Codeta also has Mondays Cash Back. You have to opt in once and it’s then valid every Monday. 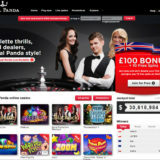 You get 15% Cash Back on your net losses for the day up to a maximum of £100. It’s delivered to your account the next day and comes with a 1x play through requirement and must be used within 7 days. If you’re reading this past January 2018 then it’s worth checking the promotions page for the current deals.